The Europahaus Wien is set in a quiet location in a 6-hectare baroque park in the western part of Vienna, 15 minutes by public bus from Schloss Laudon and about 30 minutes from Vienna center, incl 10 minutes walking distance from metro-line U4. Only 14-day renting periods, € 215-260 per 14 days. Bus 249/250, bus-stop Wolfersberggasse, 15 min. to Schloss Laudon Linzerstraße 429, 1140 Wien Tel. : +43 1 57 666 77 headoffice@rosenhotel.at www.rosenhotel.at Singleroom pp/night €62 incl. breakfast buffet Double room pp/night €42 incl. breakfast buffet. Are you looking for a sophisticated place to stay in the city? 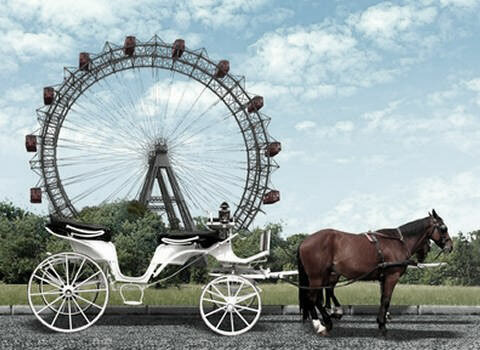 See here some offers from our partner EASY B&B Flats and find the best apartments in Vienna. Vienna Airport (VIE) connected by S7 train, airport bus or CAT to city center or Bratislava Airport (BTS) connection via direct bus to Vienna. Taxi transport with fixed rates. Schloss Laudon has two stops for public transport: Bus 249/250 bus-stop Schloss Laudon and S50 train at Hadersdorf train station (10 min. from Wien Westbahnhof). Weekly or monthly tickets are available from Wiener Linien. Hauptbahnhof – Central Station or Westbahnhof – West Station are both directly connected to the subway and other public transportation. Laudon Palace is located close to Westautobahn A1, Exit Auhof. Train S 50 from Wien Westbahnhof to Hadersdorf Bahnhof (12 min), then 5 min walk to Laudon Palace. Find your way to EMIV on wiener-linien.at. U4 from Vienna center (Karlsplatz) to Hütteldorf, from there with bus 249/250 to bus-stop Schloss Laudon (35 min). Just make sure when you enter the arrival hall to turn to the left; after 20 m you will find taxi companies on the right side with fixed rates from 34 - 38 EUR. Find inspiration for your art visiting the homes of Haydn, Mozart, Beethoven and Schubert. 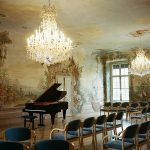 Do not miss to visit a typical “Heurigen” – some people insist that you will never understand Schubert if you haven’t been there.